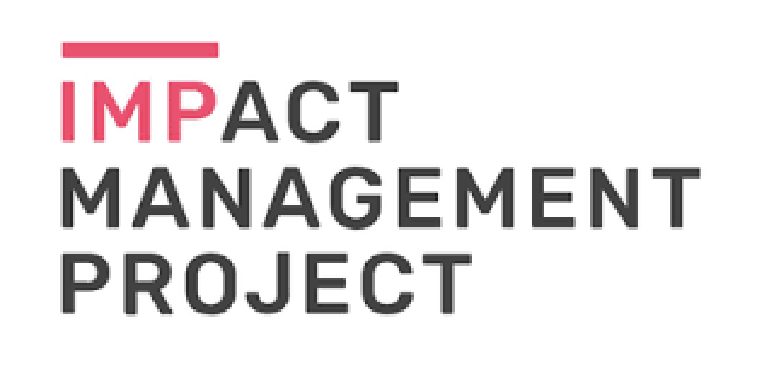 Impact Measurement & Management made simple! 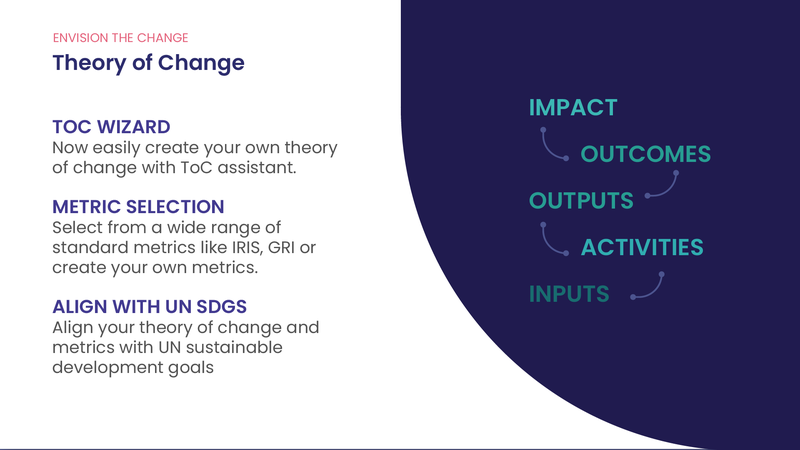 Impact Cloud® is a theory of change driven platform that allows funders, mission-driven organizations, and sustainable organizations to easily measure and manage their social and environmental impact. Good Tech Fest: From Do Good Data & Data Analysts for Social Good Team. Manage your entire portfolio of Funds, Investments, Grantees and/or Projects. Collect or import data from multiple sources. 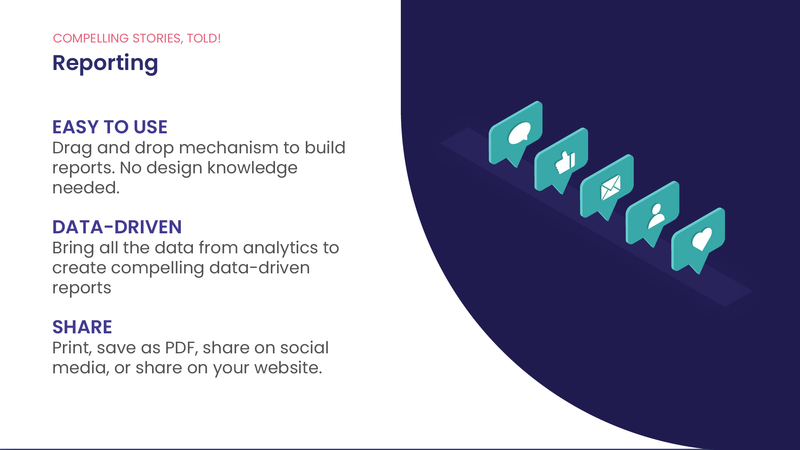 Get insights from your data, refine your impact framework and improve to achieve higher impact. 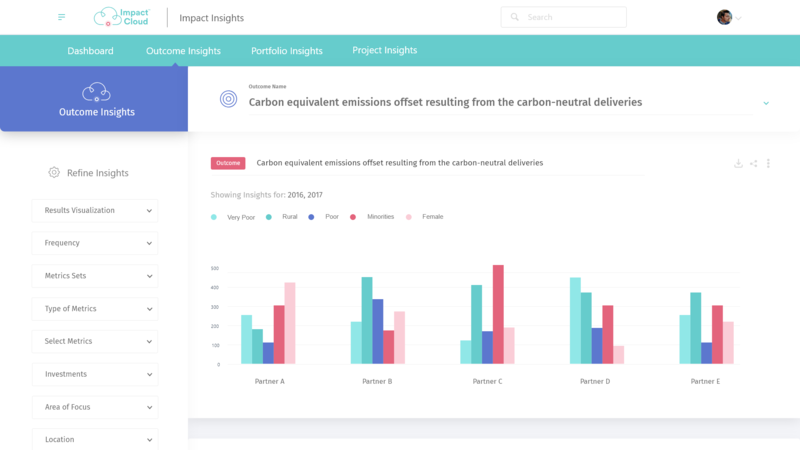 Create impact reports with alignment to SDG, outcomes or any other framework. Social Value International accredited application to calculate the Social Return on Investment of your projects or programs. 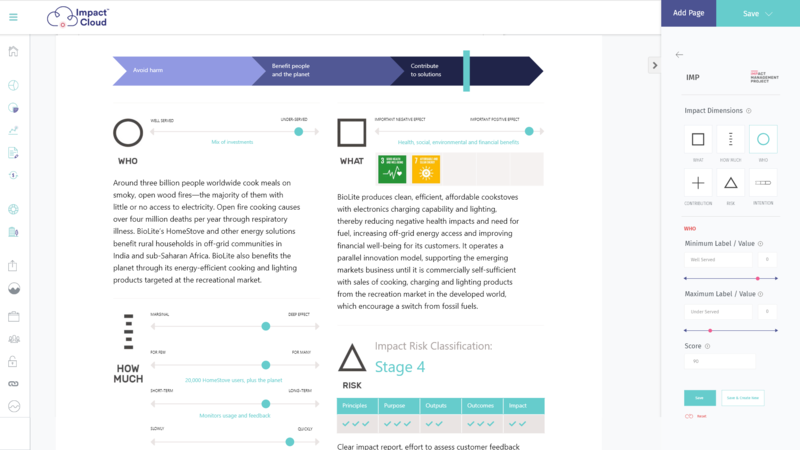 Collect data and evaluate organizations’ risk for a smart resources allocation. The time delay between capital deployment, impact realization, understanding the outcomes, and making investment decisions based on those outcomes is excruciatingly long. 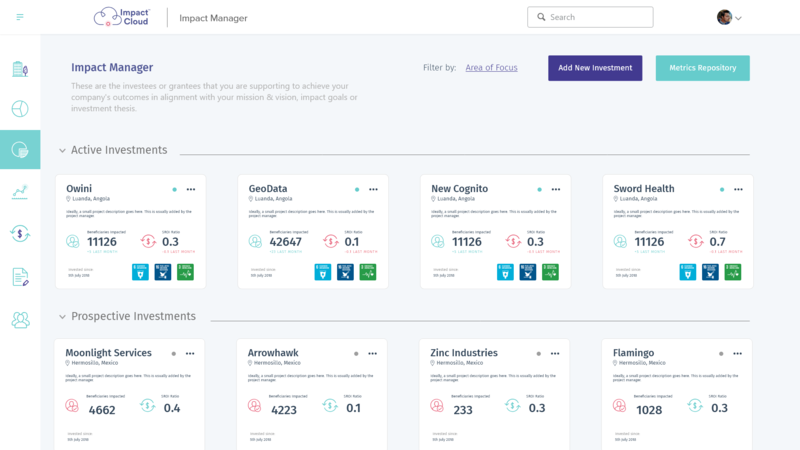 Now you can dynamically track your capital across all your Funds & Investments right until the last Beneficiary, which radically decreases the delay between capital deployment and insights into outcomes. Assessing the impact and risk of your investments can be a very subjective process. Real measurement happens only after the capital has been deployed. Build a better risk analysis and due diligence process based on the Impact Management Project or your own internal framework. 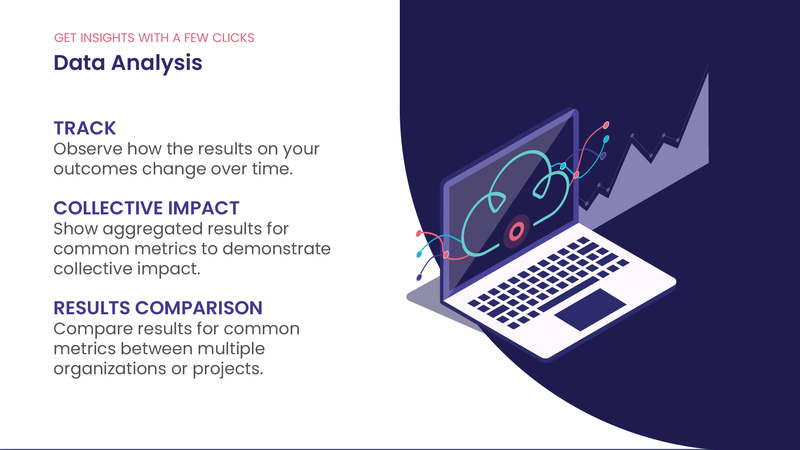 Use actual impact data to decide where to allocate your resourcesbased on your strategic goals. This unavailability of insights into their portfolio's outcomes hinders Asset Managers from raising capital from Asset Owners. Define portfolio outcomes, collect data and aggregate it, communicate your results to your Stakeholders and Asset Owners. 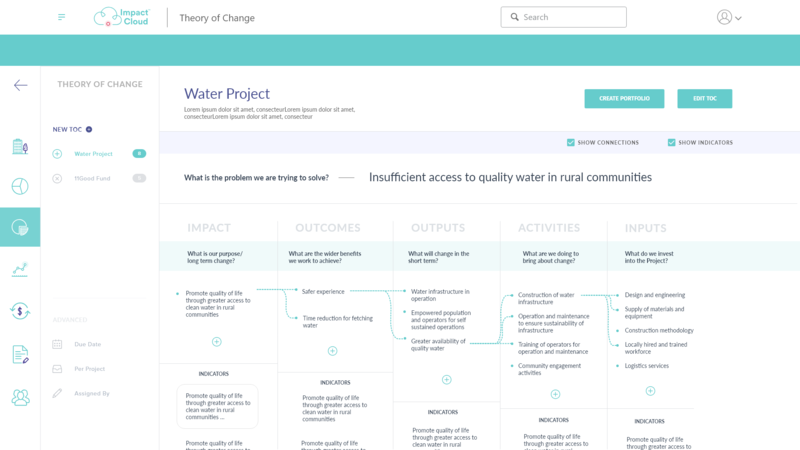 Funders tend to define outcomes that are not completely aligned to the investees/grantees intended impact or data collection capacity. Asset Owners, Asset Managers, and Assets share common outcomes, considering the Asset's data capacity and the overarching impact. 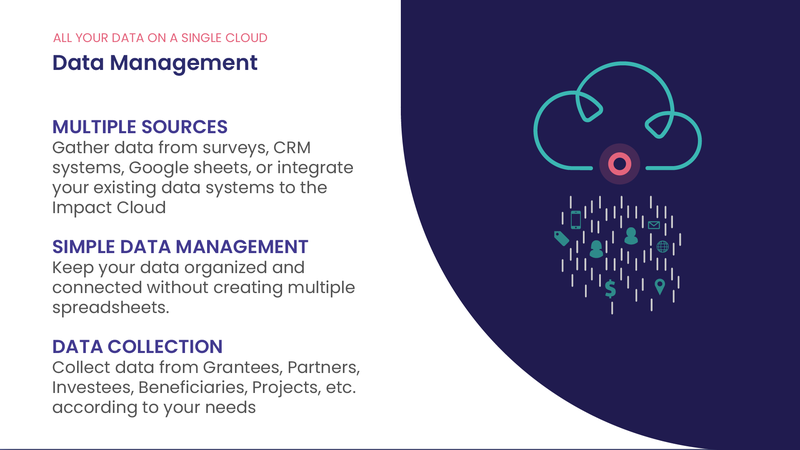 Aggregating data from different organizations, projects, or systems is complex and time-consuming. Just bring your data to the platform and let it take care of aggregating and analyzing it. Understanding the SROI of your projects, programs, or investments, requires a person who understands the methodology and the necessary calculations to get the SROI ratio. Just drop your data and let technology take care of the rest. Our system walks you through the process and makes all the calculations for you. Proving Investor worthiness is always a challenge for Social Enterprises. Derive insights from our outcome-tracking platform, communicate them appropriately, and raise more capital. 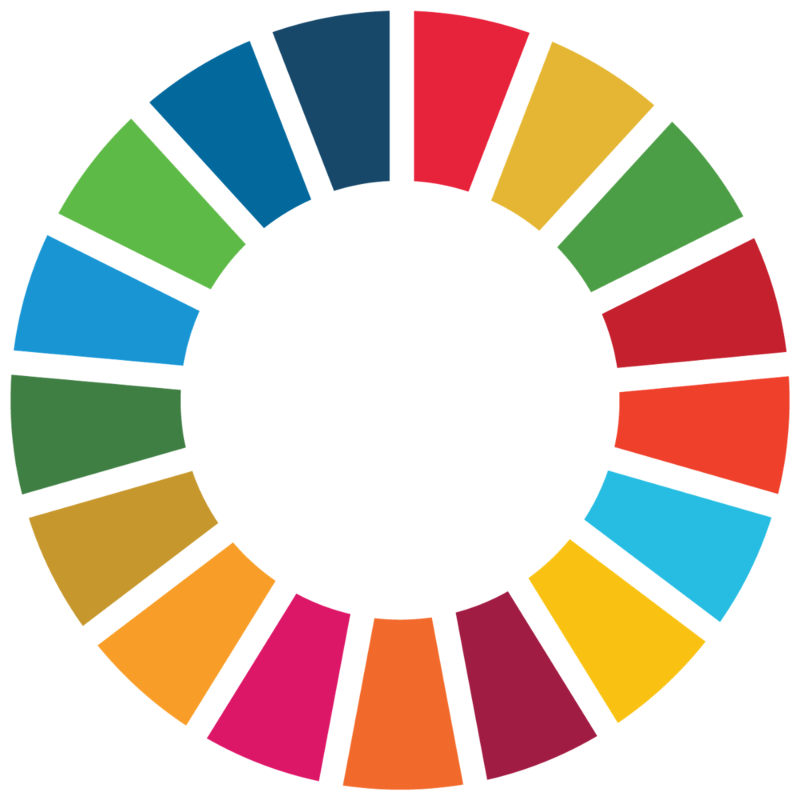 Social Entrepreneurs and Nonprofits have a restricted access to finance, specially in developing countries. Lack of ESG tracking infrastructure on the ground is prohibiting Asset Owners from sponsoring Impact Funds. Our platform connects Asset Owners with Asset Managers and Assets around the world. Funders radically increase their capacity to accept & deploy more capital and get direct access to the organizations in need of that capital. Our path to connecting Asset Owners to beneficiary and outcome data.